Finding the home that’s right for you is simply a matter of choice at North End—but not for long. We’re closing in on new construction in this popular Louisville community. You’ll find low-maintenance easy living condo lofts and duplexes as well as lots and custom homes. 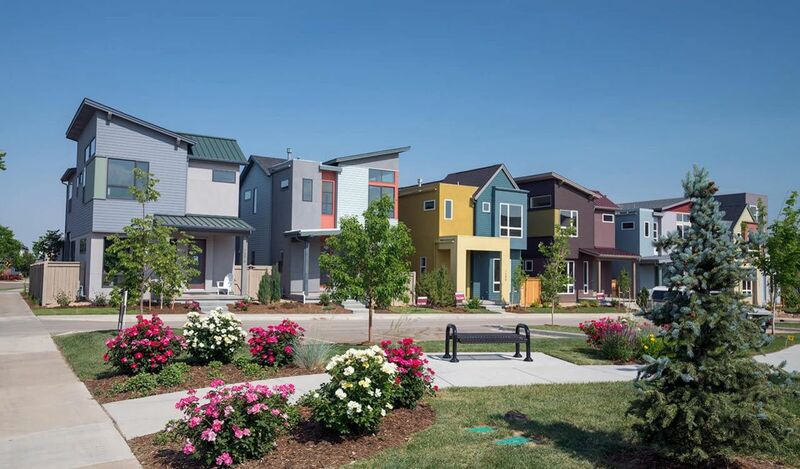 The exciting Park Place at North End features a cul-de-sac of bold and beautiful contemporary homes and duplexes on the park, with fabulous outdoor living, open floor plans and modern finishes. Residents enjoy easy access to the area’s expansive trail network via Coal Creek Trail. The food, music and pub scene in downtown Louisville is just minutes away, and the trail through Hecla Lake Open Space puts the benefits of time spent in a natural setting steps from your door. Excellent schools and commuter access to Boulder, Denver and DIA add to the community’s appeal to buyers at every age and stage in life.